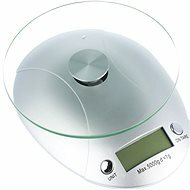 Xavax Wanda is a digital kitchen scale, able to weigh any ingredient to weight 3 kg, with an excellent accuracy of 1 g. It has a large and legible four-digit LCD display, which will inform you about all measured data. 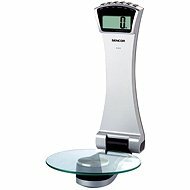 In addition to the weighing, the scale also features, functionalities tare, reweighing or minute. Thanks to the special design, it is possible to place the scale directly on the wall and have it always available quickly. 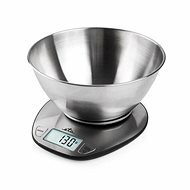 Folding arm of the scale can be folded, which is great for saving space. To power it, three AAA Batteries are used and are included in the package. Also included are plastic bowl or a set required for wall mounting. For shipping to other EU countries visit this page XAVAX "Wanda". Für Versand nach Deutschland, besuchen Sie bitte Xavax "Wanda". Chcete doručit zboží do Česka? Prohlédněte si XAVAX "Wanda". Chcete doručiť tovar na Slovensko? Prezrite si XAVAX „Wanda“. Für Versand nach Österreich, besuchen Sie bitte Xavax "Wanda". Magyarországra történő kiszállításért tekintse meg ezt a termékoldalt: Xavax "Wanda".